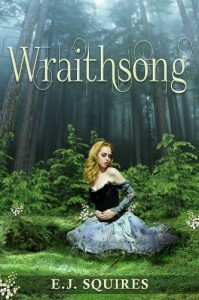 Wraithsong is a fairytale with a dark twist. I loved reading this book, and honestly I have a hard time writing a review because I liked it so much. The supernatural creatures were very original, which is saying something because I read a ton of books in this genre. I think that the concept of Huldras was great and the background on the creatures was done really well. I found the book fascinating. I wasn't 100% sold on the romance, or some of Anthony's actions, but overall I would say that this was a great book. This was one of those books that I saved like 30 pages at the end because I didn't want it to be over. I have myself convinced that my boyfriend is a Huldu! I would suggest this book for someone who likes paranormal romance, but is looking for something original. I can't wait to read the sequel!